Everyone should be fortunate enough to find an activity that really brings you home. Something that finds your center and provides enjoyment and tranquility. Having an activity that can be returned to time and time again providing a much needed respite in this crazy world we hang out in. Going home refers to finding ones inner self, their core, the place where you begin. I crave the pursuit of finding wayward golf balls. Maybe there is an unresolved issue with my youth that causes such a desire. I find myself needing to gather golf balls much like the outdoorsman needs to slaughter helpless creatures. I’m a hunter in every sense of the word. Outfitted with a backpack, baseball cap, and my weapon of choice…pitching wedge. I am all business in my pursuit…don’t even think about getting in my way. Let me preface this to say I am fortunate to live on a destination golf course. As such the people that come and play tend to be on vacation and spending money isn’t of concern. Why this comes into play means golf balls found aren’t the X-outs or knockoff variety. What I find are the Callaways, Nikes, and Noodles…golfers will tell you these are prized possesions. My version of the valued impala or massive elk. Couple of rules to remember as you seek to become a follower of the dream. 1. Never reach into grassy areas without first checking with club. 2. Water works like a magnet on golf balls. Look there first. 3. Where there is one ball, usually two or more can be found as well. 4. Snakes can become possessive of golf balls, leave those alone. 5. Don’t hunt at dusk as your activity may attract bears who are greedy and don’t like to share. 6. Crossing the same area from different angles produces great results. 7. If a golfer sees you hunting offer him a ball as a peace offering otherwise he’ll think you stole his ball. 8. While finding pink, yellow, orange, and blue colored balls is much like finding easter eggs, never put these balls into same bucket as regular balls. 9. Don’t be afraid of the dirty balls. They clean up just like new. 10. Never, even under the threat of extreme torture, expose your secret honey holes. There is a tranquility found in the woods alone. A Waldonesque mystique that draws into harmony the chaos that befuddles us. For me it is a very Zen like time where the past has no meaning and the future serves no value. It is the complete essence of now. The place where we find peace in our creator. Silence is a gift so easily received yet seldom sought. But once you hear it…once you live silence and come into presence then everything else sounds like the din of destruction we find ourselves perpetually surrounded by. How nice to escape and find calm. How wonderful is the quiet. My Zen practice has benefited my golf ball hunting by bringing to mind constant awareness of my surroundings. 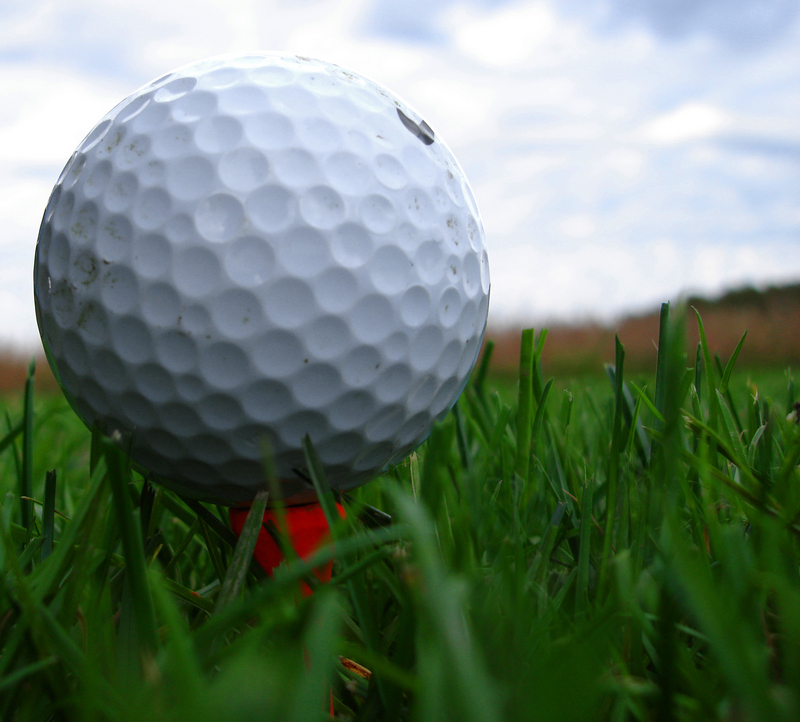 Most people hunt for golf balls by looking around until one is spotted. A Zen collector finds them by noticing the changes to the present reality. This is the true depth of awareness. How much we miss by looking only for that white ball. How many flowers do we trample, how many berries do we squish. Awareness forces us to examine everything continiously without judgement or emotion. It is with this heightened understanding, real golf ball hunting occurs. Does this translate to life? Can this awareness be practiced elsewhere? The answer is a resounding yes. Not only can it be practiced anywhere it should be practiced anywhere. It’s amazing what happens to our lives when we step aside from seeking answers and focus instead on seeking truth. Oh this is so true. Where I live, the practice is called “Balling” (a contraction of ball-hunting?). I have been at it, on and off, for over 40 years. I live near a golf course, and my parents began seeking out balls shortly after I was born. A true “master” ball hunter (I prefer not to use “pro” since I tend to associate it with golf course assholes) only needs a good, firm stick (I prefer a bark-stripped one around 5′ long and nearly 2″ wide) and fears neither mud nor sticker bushes. Where I live there are no snakes or bears, or so few there are none worth mentioning nor worrying about. The raccoons, possums, and skunks give the course a wide berth and generally are very late wanders content to keep away from white balls. The greatest fear, next to golf course shitheads and xenophobic property owners, is bees and wasps. I know of many competitors who think they are so superior for they boast about the length of their “golf ball retrievers” – a serious Baller needs none of these yuppie gimmicks short of retrieving balls from a deep 90 degree well. Such toys are only for those fearful of getting a little muddy around lakes and afraid of getting “bit” by frogs! With their attitudes, why don’t they just Pay their toadies to fetch balls for them as they sit back on their fat asses! A gadget is only as good as one’s vision, and this should never be forgotten. And often when getting up close and personal with a ball, one tends to see other balls clustering nearby (your 3rd and most powerful rule!) which is attributed to applied chaos theory since like-swinging golfers will frequently bat them in like-clustering regions (which I call “nests”). Your 6th rule is a curious one and if often very true. It is borderline amazing how balls can be missed on a first past, yet approached from an opposite direction or angle and they could have been visible from it for meters distant.